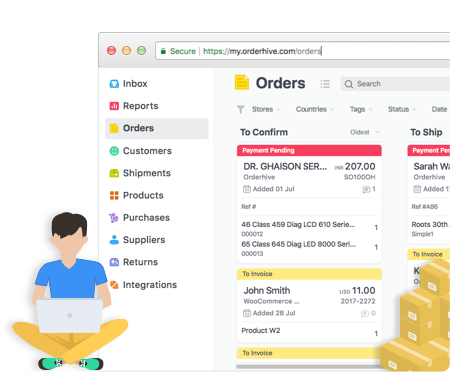 All-in-One Operations Automation Software for Online Sellers! Everything you need to automate your multi-channel Order, Shipping, and Inventory management operations to maximize its efficiency and make your customer happy. Ready to take control of your business? Manages order fulfillment workflow from warehouse to customers, facilitates multi-currency transactions, back-orders, team collaboration etc. Simple, Powerful and Real-time Inventory Management system, which can provide you timely actionable insights and optimize inventory costs. Simplifies purchase management with features like barcode systems, automated PO creation, multi-currency transactions etc. Automates daily tasks based on multiple preset triggers and desired actions, saving you time, costs and repetitive manual intervention. Pricing start at $0/month with unlimited orders and SKUs.